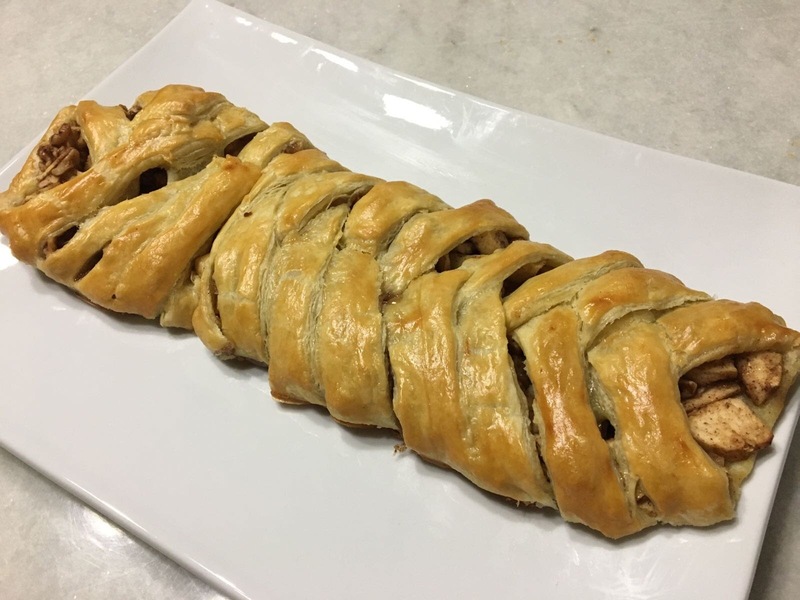 So for a potluck family dinner yesterday night, I made this Apple Walnut Strudel. Preheat your oven to 350 degrees. Line your baking sheet with foil or parchment paper for easy cleaning. Peel, core, and dice your apples. Add in the walnuts. Combine your brown sugar, flour, cinnamon. Mix with your apples and walnuts. Take your puff pastry sheet and roll it out slightly so it’s thinner (and wider). Down the middle of the puff pastry, add in your apple mixture (leaving room on both sides). Along the edges of the puff pastry sheet (on either side of the apple mixture), cut slits about one inch apart. 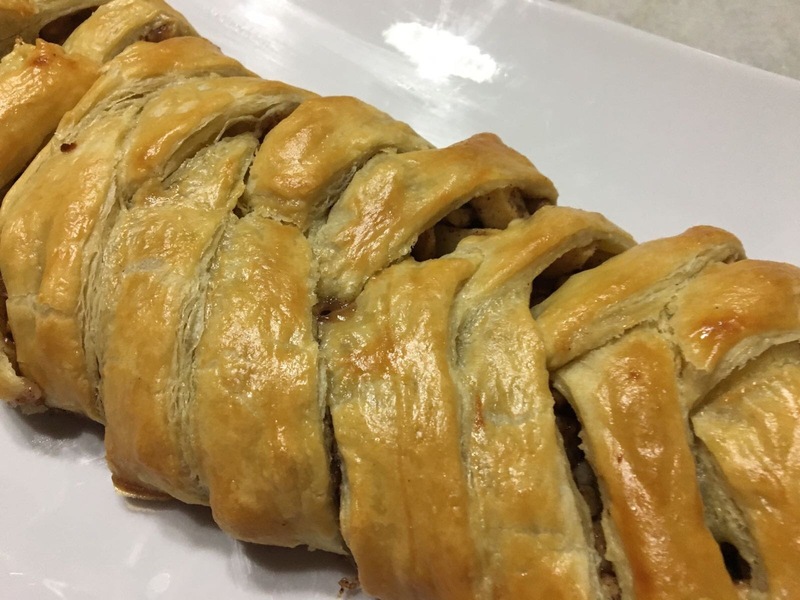 Fold over one slit from each side as if to “braid” the strudel. In a small bowl, mix together one egg and tablespoon of water. Brush on top of your braided strudel. Bake in your preheated oven for 35 minutes (or until its golden brown). Not only were the apple and cinnamon combination delicious, but the warm and soft walnuts added were a great touch. Serve alongside ice cream/whipped cream… yum!